When some men reach a certain age in their lives, they reflect on their mortality and start acting out with extreme behavior: they might buy a flashy new car, fancy clothes, or expensive watches. 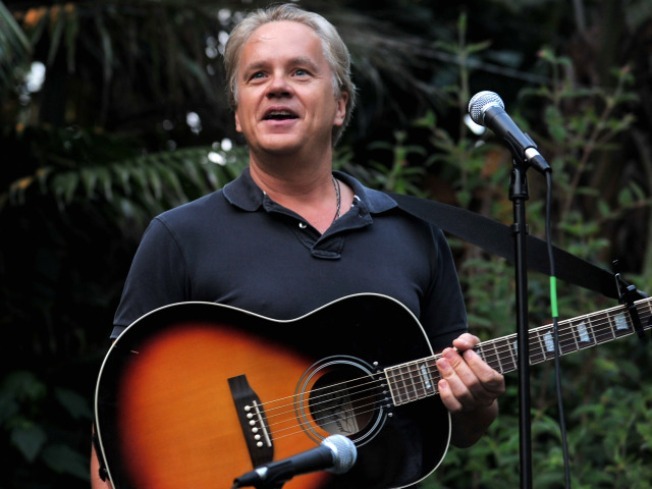 For Hollywood star Tim Robbins, he already had all that. So when the end of his 23 year relationship with partner Susan Sarandon last year brought on his own midlife crisis, Robbins reacted by writing an album. "You start thinking about how may years you've got left," Robbins said recently on BBC radio, "and you start thinking, 'what the hell am I doing here?'" the Telegraph reported. Robbins and Sarandon were considered to be one of Hollywood's enduring pairs before their breakup last summer. The former couple have two children together. "I was thinking about calling it 'The Mid-life crisis Album', but then I thought that's not going to sell any copies. Then I thought, 'How about Songs of Love and Misery?'" Robbins told BBC. Robbins did not dish much on the new album's angle, but he has been spotted hanging out at Magnetic Zeroes shows, an alt-country band. Robbins may be palling around with the mother of one of the members of the band, the North Carolina Citizen Times reports. As for Sarandon, no confirmed new beaus on the map yet, but when asked if she minds being called a cougar recently, she said, "No, I love that!" wrote Entertainment Weekly.